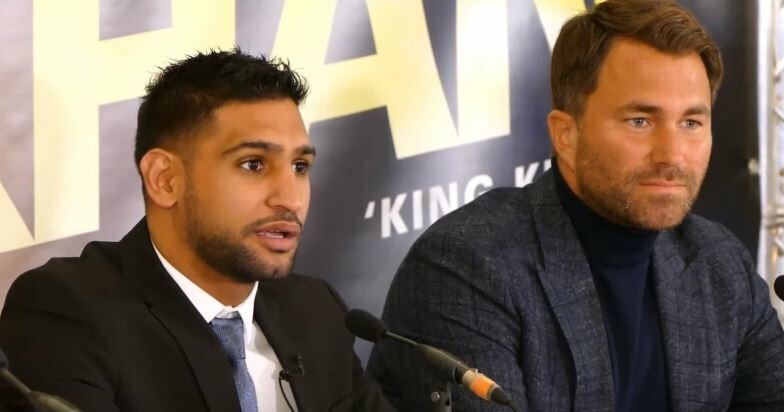 Promoter Eddie Hearn spoke a short time ago on British television pertaining to negotiations between Amir Khan and Kell Brook for a super fight in the UK next year but — he also decided to leave something out. Hearn is hopeful of getting the fight done but both fighters seem to be digging their heals in at the moment in negotiations which has meant Kell Brook has had to stay busy and take a warm up fight in December as he bids to get back down to the welterweight limit of 147lbs. Anything can happen as we all know in boxing and if Brook were to come unstuck then the Khan fight goes straight out the window. From a purely UK perspective, the Anthony Joshua vs Tyson Fury fight is way bigger than the Wilder fight and Eddie knows this. Earlier this year when Anthony Joshua tweeted at Tyson Fury calling him ‘fat boy’ I tracked the social media analytics at the time (which I will bringing up in due course). They showed interest on Anthony Joshua’s Twitter account for the Fury fight did far bigger numbers when he sent Wilder similar Tweets in response to trash talking online. It seems Eddie Hearn is trying everything he can to ignore Tyson Fury at the moment — perhaps slightly bitter that he missed out on signing him earlier this year. The great thing about boxing is the rivalries and it’s in Eddie’s and the entire sport’s interest for Joshua, Wilder and Fury to all fight one another over the coming years. They’re the three best heavyweights in the world and the biggest names in the division at the end of the day.